“Oh no!” I shouted. They’ve gone. They were different colours and were lustrous. There was only one person I could blame: Poppy. She was jealous when I brought them to school , ever-since she hasn’t spoken to me. Poppy (who is ten) has brown, long hair, dull, blue, eyes, a little nose and an evil, nasty smile. 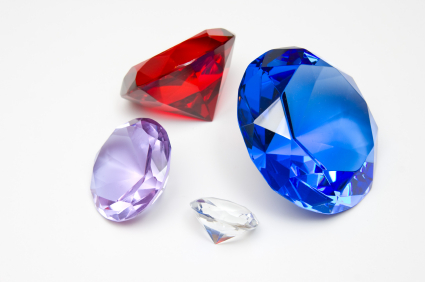 I couldn’t see the gems anywhere, I searched and searched until I had no more hope. I tried to remember where I put them. Quickly, I rushed down the stairs. While I was running down the stairs, I took a quick glimpse at the window. Poppy, who was once my friend, was waiting outside with a bag. It looked like she had got something for me ; I dared not to go outside. “No why ?” she said. “Oh it doesn’t matter,” I nervously said. Just then… I remembered I hadn’t checked in one place – the living room. I hoped that they were there. They had to be there. If Poppy took them she would have given them back by now because I’ve known her for a long time. As soon as I walked through the door, I saw the gems sitting on the table. I was glad that they were found again because they were my lucky gems. Be the first to comment on "The Day The Gems Went Missing"